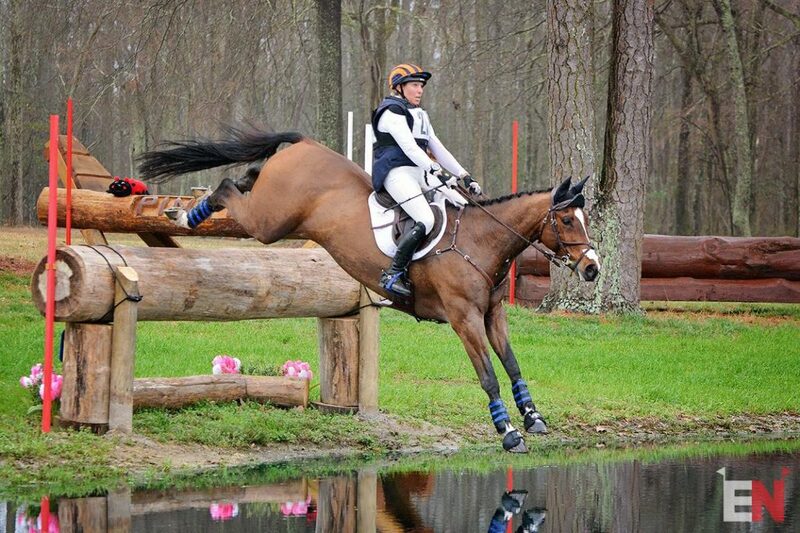 Liz Halliday Sharp and Ocala Horse Properties’ Deniro Z are Blazing A Trail to Kentucky! 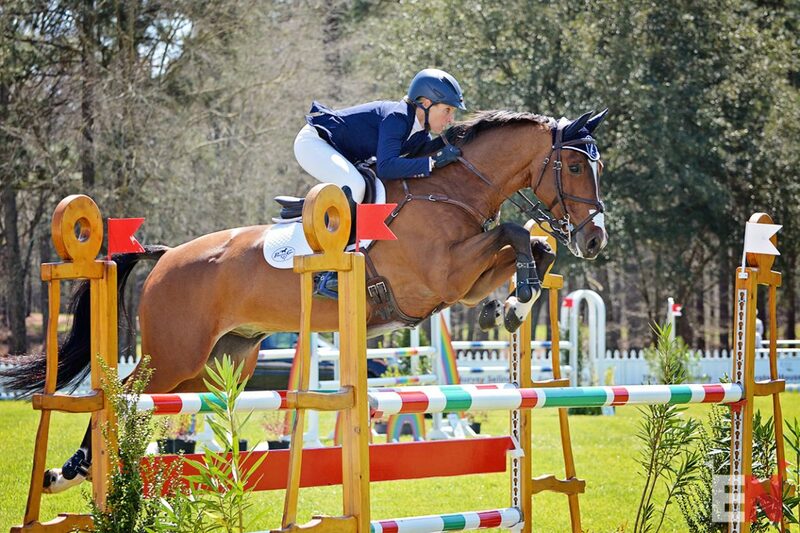 Liz Halliday-Sharp and Deniro Z began their road to Kentucky in 2015, after Liz took notice of this young horses’ emerging talent as a green show jumper back in England. He had been imported from Holland by fellow eventer, Francis Wittington to be sold and Liz jumped on the opportunity. Since 2017 this dynamic duo has been on an impressive upward trajectory with 6 wins here in the US and and many impressive placings abroad at Bleinhem, Luhmuhlen, Millstreet and Boekelo. In 2013, Liz and her husband Al Sharp purchased their 110 acre farm through the Ocala Horse Properties, spending several years building out the facility with 2 Wordley Martin rings and an extensive cross country schooling course. Horsepower Equestrian is now a well know facility in the region, where Liz trains and teaches from November till May – until she, Al and the horses migrate back to England for summer and fall competitions. 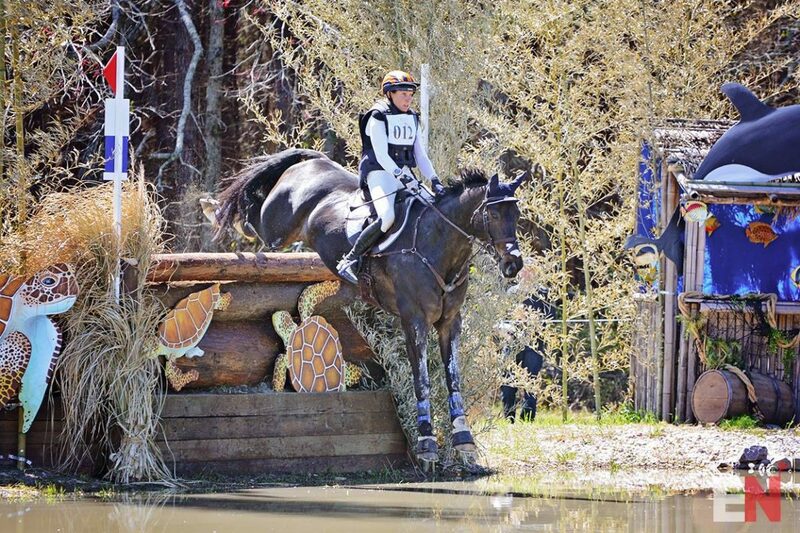 As many people may know, Liz is a fierce competitor and professional athlete with a background in car racing, sportscasting and now full time career in 3 Day Eventing. Through that initial real estate introduction in 2013, the team at Ocala Horse Properties got to know Liz as an inspiration in equestrian sport. This relationship lead to OHP purchasing the full syndication on Deniro Z and eventually joining Liz’s other owners in the Monster Partnership with Cooley Moonshine and Cooley Quicksilver. In step with Liz’s success with her entire string of horses, both of these other young athletes are on an equally impressive upward trajectory – with the Le Lion d’Angers young horse championships in their sites summer of 2019! It’s been a busy season for Liz and her barn full of talented horses, with multiple wins at the Ocala Horse Park, Rocking Horse, Pine Top, Red Hills and most recently, Carolina. Liz’s steady campaigner, Fernhill by Night, has truly helped shape her riding career, and he’s proving that age is just a number. A 2003 model with plenty still left in the tank, ‘Blackie” impressed us this past month at Carolina by edging out his younger stable mate (Deniro Z) for the win in the CCI4*! Take a listen to Liz as she gives us some insight into her recent rides at Carolina through the Eventing Radio Network Podcast! With her eye on the road to the Land Rover Kentucky 3 Day Event, Liz has remained in North Carolina with her entire string of horses at Will Faudree’s. In addition to running Niro in The Fork’s 4*, Liz has a full dance card with 7 horses competing in Tryon April 4-7; Cooley Quicksilver and Blackie are entered in the 4*, Cooley Moonshine and Flash Cooley are in the 3* and Gorsehill Cooley and Cooley Stormwater are in the Open Prelim. What a lineup! She’s remained focused on keeping Niro in top form in preparation for the big run in the Kentucky 5* with a specific plan for his weekend at The Fork. They won’t run quite as hard as they did at Carolina, but they’ll certainly still be competitive on the time with Niro’s ground covering stride. Liz stated that it doesn’t suit to run him too slow b/c he just eats up the ground naturally, yet she is working with him on being more adjustable in preparation for Kentucky. During the time at Will’s she’s kept him on a strategic schedule integrating trot sets, a gallop every 4th day and one jump school before The Fork. Liz and Niro’s consistent performances have resulted in their nomination to the USEF Pre-Elite Training List! Erik Duvander, Performance Director for US Eventing, will be at the Fork to work with potential 2020 team candidates. Liz’s dressage coach, James Burtwell, will also be there, as well as Richard Picken, who will warm her up for show jumping. One thing is for certain, the Ocala Horse Properties’ Team will be out in full force, cheering our loudest for this exceptional pair. Remaining connected to horse sport is a passion of ours and an integral part of what drives us to be the best real estate team in Ocala. We hope that you’ll join us in rooting for Liz and all of the other international athletes who will be tackling one of the world’s toughest competitions, here on US soil. Information on both The Fork and the Land Rover Kentucky 3 Day Event can be found at the following links. And as always – Eventing Nation is your best source for news, live streaming and real time results!